"Voters in 12 states cemented front-runner status for @hillaryclinton and @realdonaldtrump by handing them sweeping victories on #SuperTuesday, the largest voting day of primaries and caucuses for both parties. @hillaryclinton swept to victory in 6 #Democratic state primaries, winning both Virginia and Georgia — which she lost to @barackobama in 2008 — as well as Alabama, Tennessee, Texas and Arkansas, where, of course, she was once first lady. 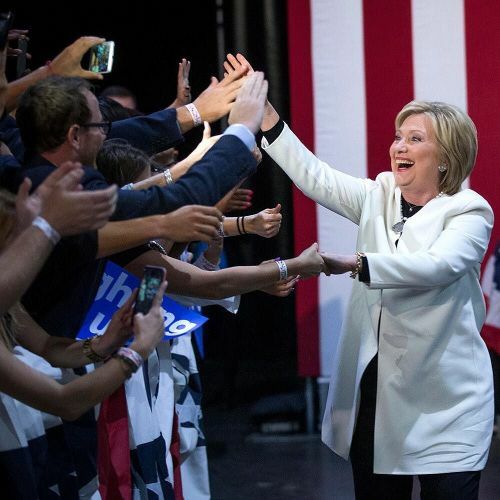 "What a super Tuesday," said @hillaryclinton jubilantly as she greeted supporters in Florida. In a clear dig at @realdonaldtrump's campaign mantra, she said: "America never stopped being great. We have to make America whole." @nytmills has been documenting the @hillaryclinton clinton campaign. Visit the link in our profile to read more about the #SuperTuesday results." By nytimes on Instagram.